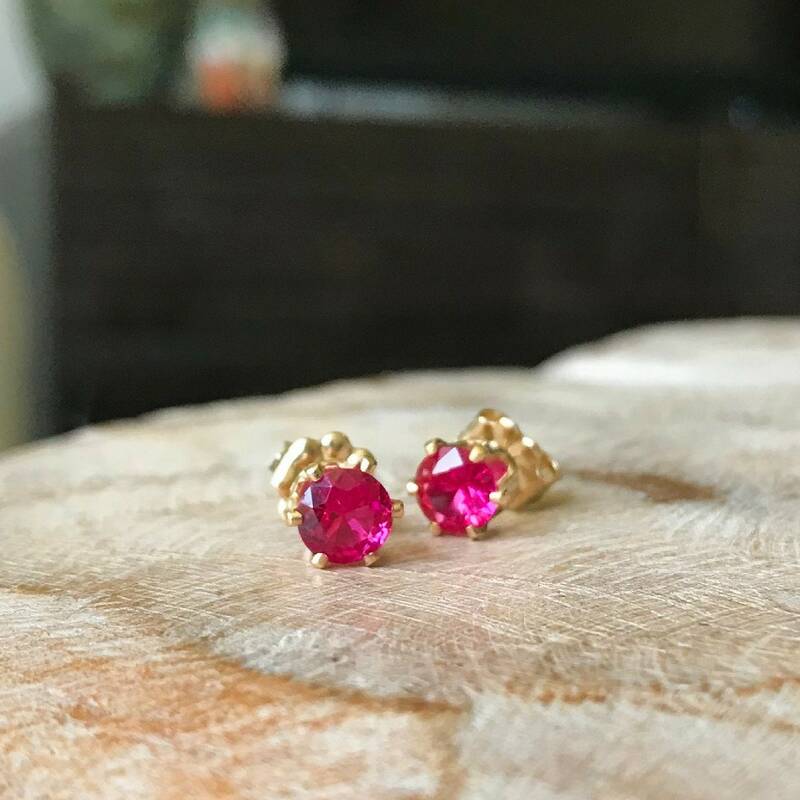 Available in gold filled or sterling silver, these 6mm faceted round lab-created ruby studs are just gorgeous. 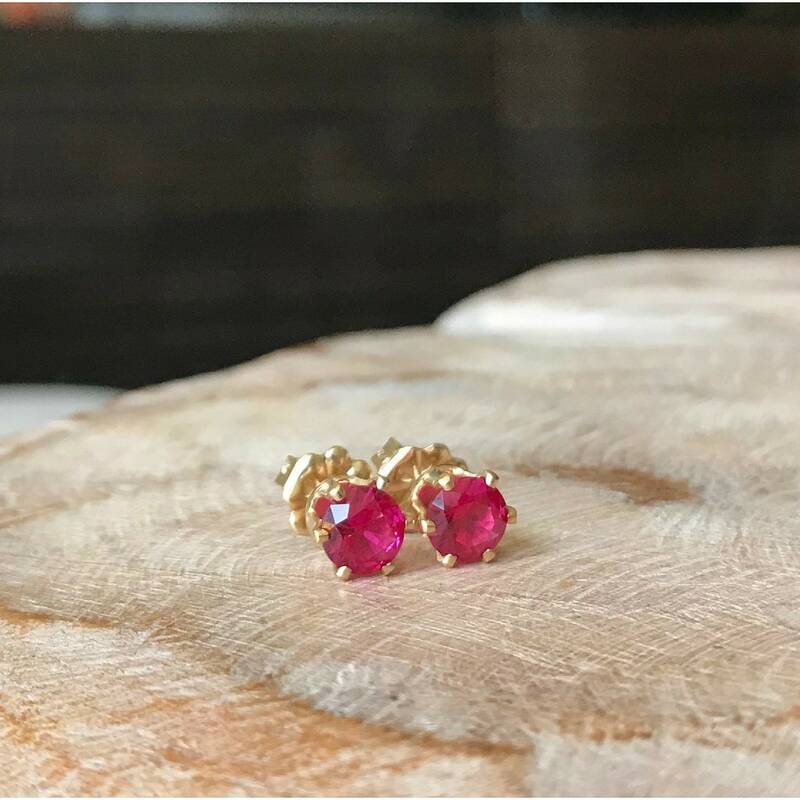 These earrings are dainty and elegant dressed up or down, day to evening. 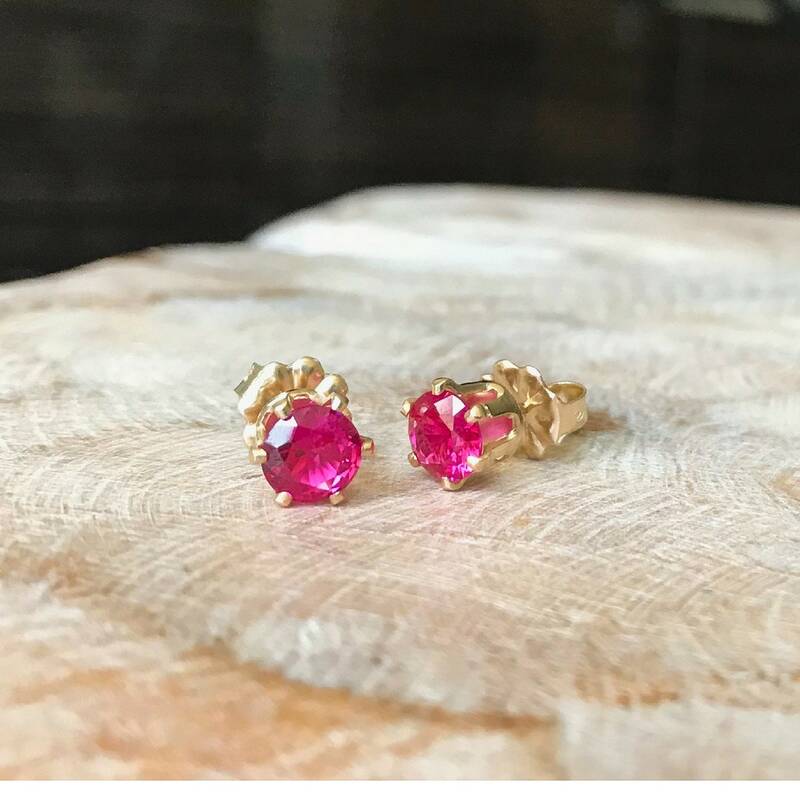 A perfect gift for a July birthday or you may want to keep these for yourself, they're beautiful. 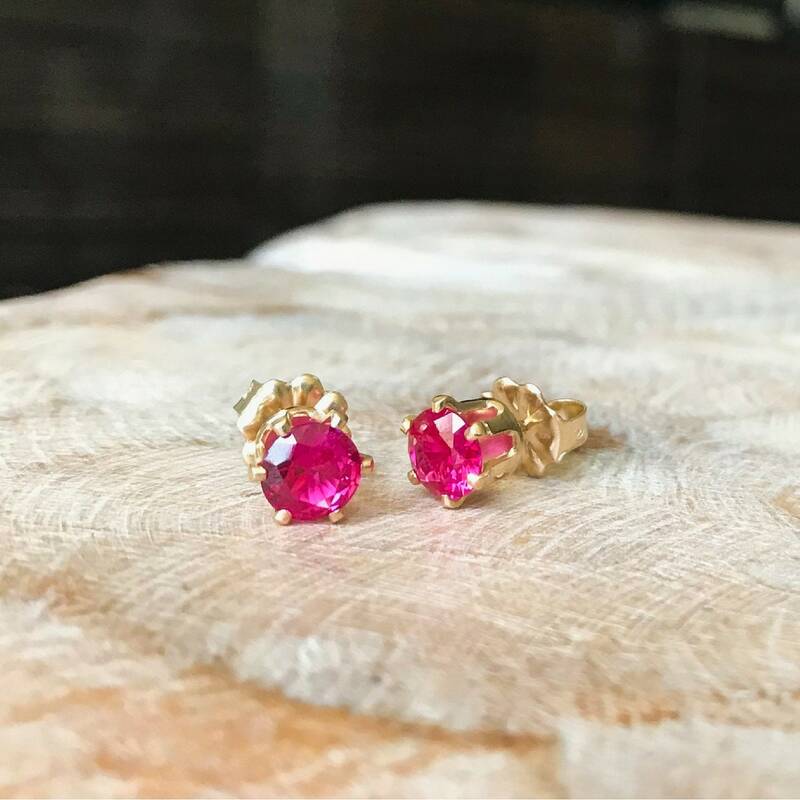 This lab-created ruby is made with the mineral corundum, which produces ruby and sapphires. They have a chemical make-up identical to those found in nature at an affordable price point making them a popular choice.